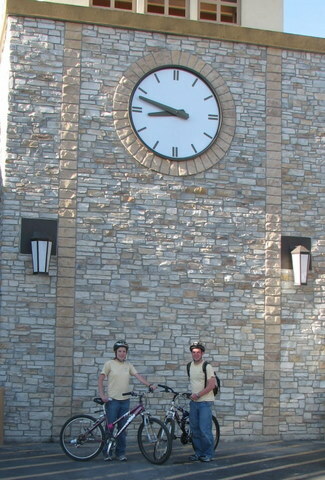 Bright and early Monday morning we packed a picnic lunch and hopped on our bikes for a 25 mile tour of the countryside to visit the five missions in the area. 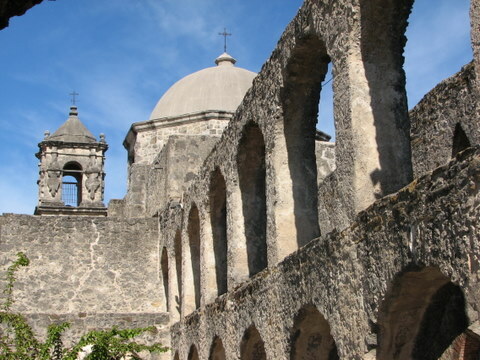 The Alamo is the most famous of the five missions because of the part it plays in Texas history. The others were interesting however, and fun to walk around. 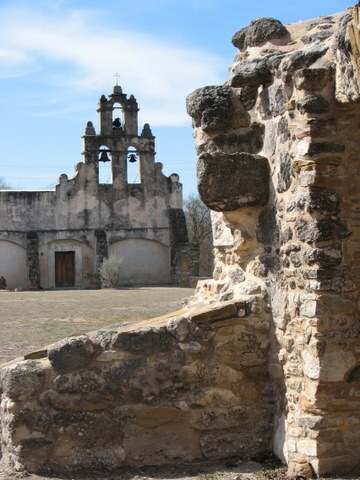 This one – mission San Jose – was the best preserved, boasting a church that was still in use, walls that were in tact and even some paintings on a few walls. Here’s another shot of the same mission. 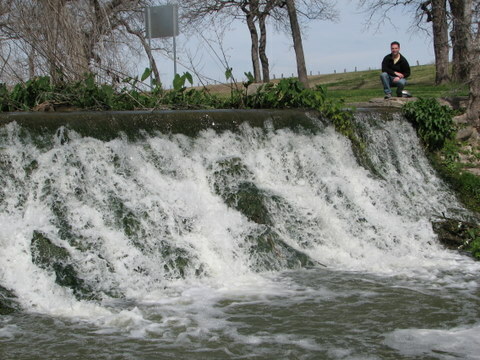 Along the route we stopped to visit a dam built by the monks (and their Indian converts) that diverted water into a long irrigation ditch between the missions. 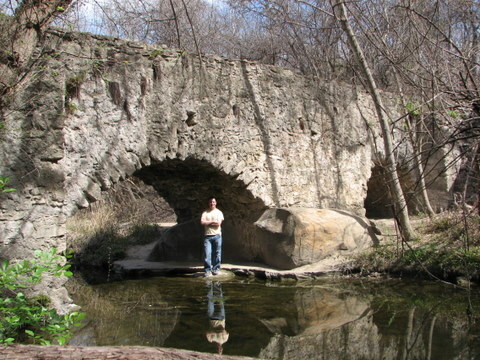 A little further down the trail was an aqueduct to carry the irrigation water across a gorge. 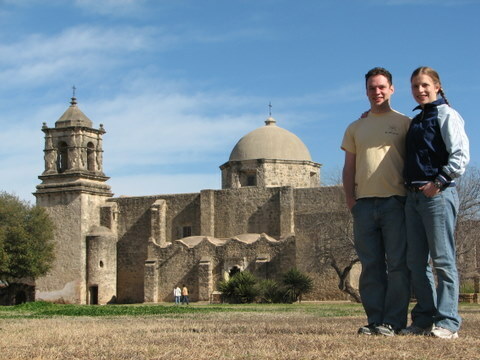 We picnicked at mission Espada then headed to Mission San Juan – the last on our tour. This one had a small nature trail that we hiked, hoping to see some alligators. Now we had to make the long trek back. 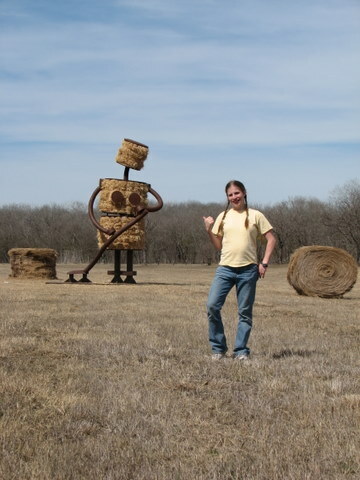 To break up the long ride (bike seats get pretty uncomfortable after a while), we took some side trips to explore anything that caught our interest. 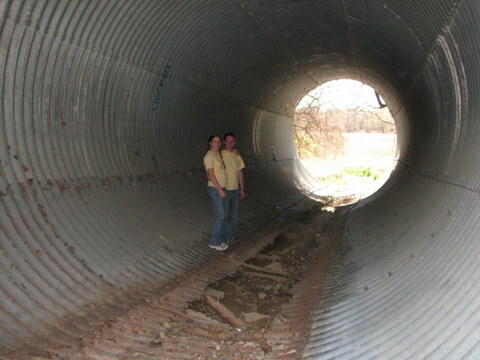 This huge culvert pipe was one such side trip. 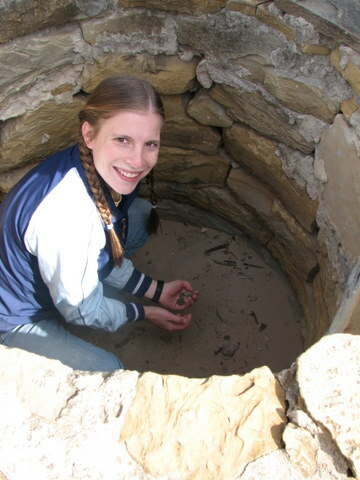 We found some pennies in a dried up well and met the locals (maybe some descendants of the early settlers?). We also passed by a little rock climbing wall at a park and decided to use up our last bit of energy trying it out. Seven hours after we started, we drug back into downtown San Antonio with a really good sunburn. What, you don’t think that was a romantic vacation? Tune in next time for the juicy details….